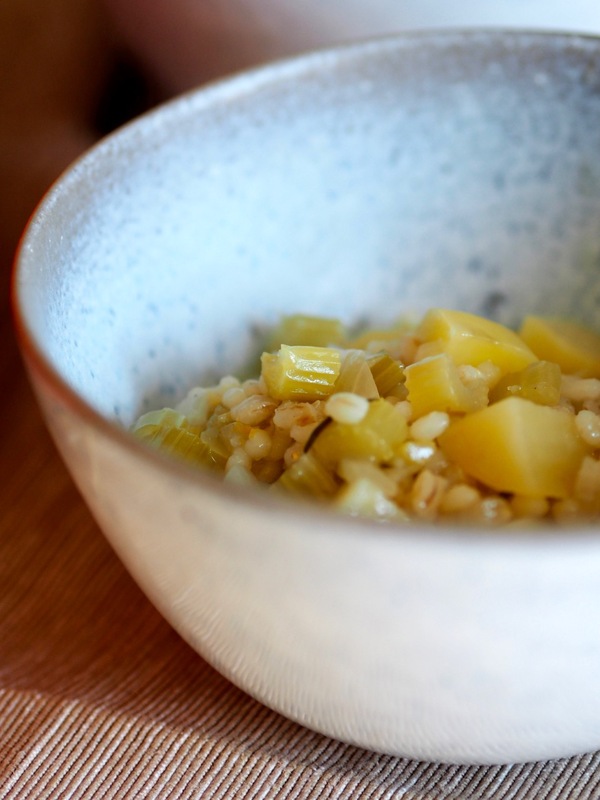 There is something that feels very provincial about eating a simple stew of celery, potato and pearl barley. It conjures up images of roadside taverns filled with weary travellers, and peasantry dolling out bowls of steaming stew into roughly whittled wooden bowls, somewhere in non-descript 19th or 20th century countryside. The more vividly imaginative amongst us may even imagine this stew of barley and vegetables served with a hunk of blackened, stone-baked bread in an inn in Tolkien’s The Lord of the Rings. It is on the periphery of the narrative, but a welcome respite for weary travellers. It is their brief moment of relief, in the form of a provincial potage, a flagon of ale and a bed for the night. It is the texture of pearl barley, robust and wholesome, that conjures these images in my active imagination and romantic mind, as they have their roots in comfort and pearl barley is undeniably a comfort ingredient, filling and satisfying as it is. As such, this stew makes an excellent choice as the year begins to turn deliciously autumnal, in the height of the festive period or in dark, relentless January. However it is also excellent in the less appealing in-between months too. Odd February, for example, when it is neither winter and not quite spring is made all the more pleasurable with a simmering pot of pearl barley stew to revive over. And it is a simple stew, modest and restorative, requiring little of your effort and mostly only store cupboard ingredients and a pared back list from the pantry. Garlic does not add it’s rich, sweet tone here but only onion and celery partner to provide a completely satisfactory, savoury base. Somehow the absence, in both preparation and flavour, of sometimes too vocal garlic makes this potage seem even simpler. Even more provincial. Allow me ten minutes whilst my mind floats back to that non-descript, previous century countryside as I become a humble farmhand in my mind. Even the colour of this stew is unassuming. Besides the outburst of chopped parsley scattered just before serving, which is not essential, but adds a certain vibrancy, this stew is inescapably cream. Whilst I don’t gravitate toward monotone suppers, somehow in this case, it makes it all the more appealing. It’s colouring only enhances the quieting, comforting experience of eating. It’s beige food. And secretly we know all good things are beige – white bread, chips, mashed potatoes, pasta… Wonderful carbohydrates. But in addition to being gloriously beige and somehow subsequently soothing, this stew is also roundly nourishing, packed with whole grains, vegetables and fuelling potato. If you choose to add even more beige ingredients (why stop now? ), creamy white beans or leftover shredded roast chicken would be a welcome, protein-packed addition. Adapt this stew as you see fit, pearl barley is a generous, forgiving base and will support most alterations and additions without fuss. However I do recommend you follow my serving suggestion: dole this stew into deep, warmed bowls that welcome cold hands to be wrapped around them to thaw. Even if you find yourself without a flagon of ale or a pack of Nazgûl on your tail, this will transport you to the Shire in no time. 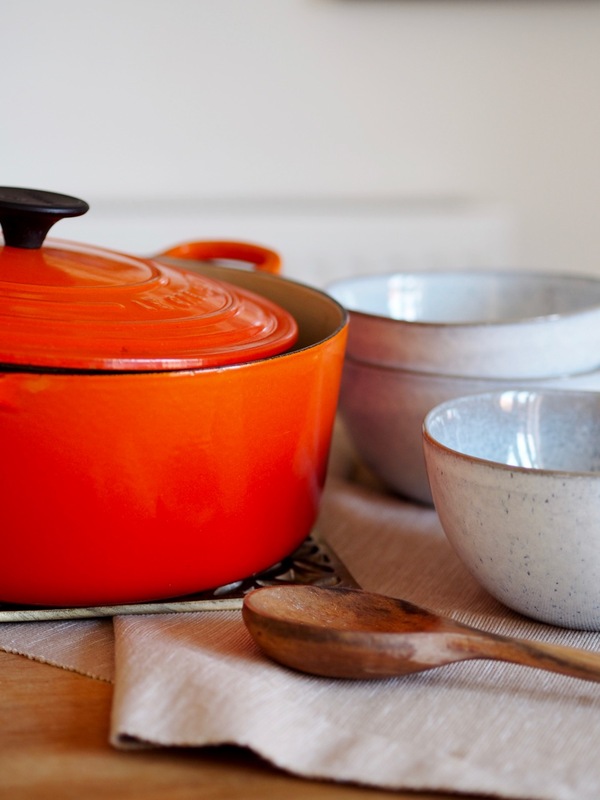 Heat the oil in a heavy bottomed pan over a medium heat. Add the onions and celery with a little salt and pepper. Put the lid on the pan and sweat for 10-15 minutes, stirring occasionally. 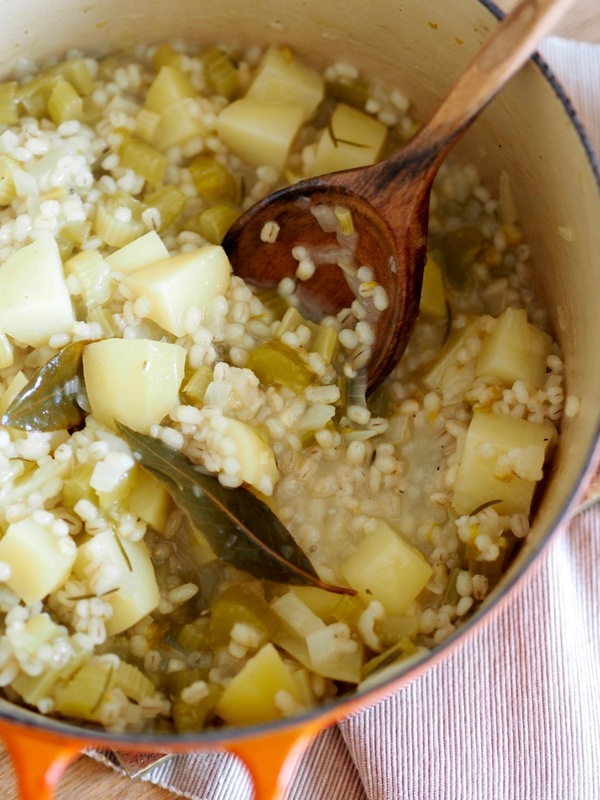 Drain and rinse the pearl barley and add to the onion and celery with the bay leaves, rosemary, white wine and veg stock. Bring to a simmer then put the lid on the pan and cook on a low heat for 20 minutes. Add the potatoes and simmer with the lid off for a further 20 minutes, or until the potatoes are tender. Season to your taste and loosen the stew with a splash of water if needed. Serve in warmed bowls with a scattering of chopped parsley and extra black pepper if you like.